Knowing how to identify lead paint and understanding where you might find it is important in order to be able to handle it in the safest way. 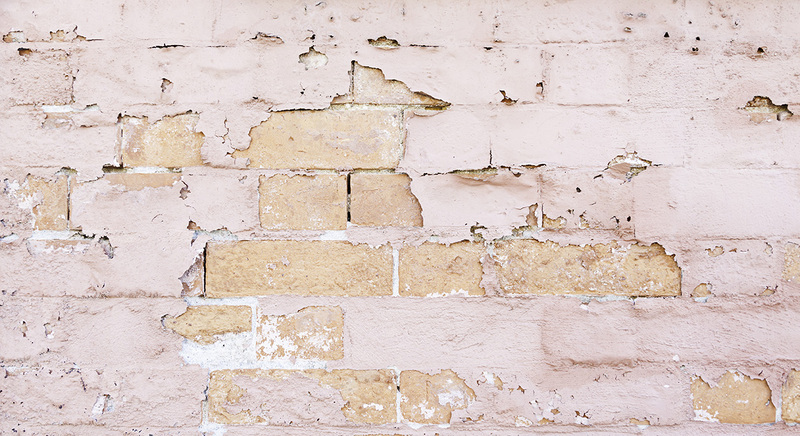 You can generally tell if the paint you are dealing with is lead-based if the sub-layers of paint are still present on a surface and the building was constructed before 1978, or by using a lead paint test kit on the paint in question. Most homes and apartment buildings built before 1978 have lead paint somewhere within them. Generally, the older the home is, the more of a chance that you will find at least one layer of lead paint. One of the most straightforward ways of figuring out if lead paint is present is to get down to the bare surface of a wall, either the drywall, plaster, or paneling. If the sub-surface appears to only have one or two coats of paint on it, there is a good chance that the paint isn't lead-based, and any lead-based paint has probably been sanded away at some point in the past. If you discover several layers of paint, especially if your home was built before 1950, you can be fairly confident that at least some of it is leaded. Most home improvement stores sell test kits that can be used by homeowners, apartment managers, and commercial contractors to tell fairly easily if there is lead present. While the tests will usually show how to identify lead paint, you should know where in your house to test in order to get the most accurate results from the kit. Window sills, especially in older homes, are hotspots for lead paint not just because they are often painted over instead of sanded down, but because window sills chip and peel very easily. Depending on the age of the windows, your window sills may be chipping and peeling every few years due to poor climate control. Heat, cold, and humidity are all amplified near windows, causing paint to expand, contract, and start to fail in a relatively short span of time. These paint chips, if they contain lead, can be within reach of children who may intentionally, or accidentally, come into contact with them, leading to a host of health and developmental problems. Using a test kit can help you figure out if you do have a lead paint problem, and if you need to get in touch with an EPA-certified lead removal expert. The tests are relatively inexpensive, and they're an absolute necessity for older homes where small children reside. EPA-certified professionals know how to identify lead paint and remove it safely. For commercial and residential buildings, it is imperative to use an EPA-certified contractor to test for and remove leaded paint. Failure to do so can bring hefty fines and draw the ire of the public if people are subjected to health problems because of your negligence. If you find lead yourself, especially if there is a lot of it, it's usually best to let a contractor handle it. Most of the lead-removal personal protective equipment you see at home improvement and paint stores is there for use by contractors. Removing it yourself is dangerous and you can actually make the situation worse by spreading the particles in the air and getting lead dust on surfaces throughout your home or office. Download a free copy of our Don't Get Sued! eBook to learn about mitigating liability risks associated with asbestos, lead paint, and mold.